56% OFF! Price further reduced! 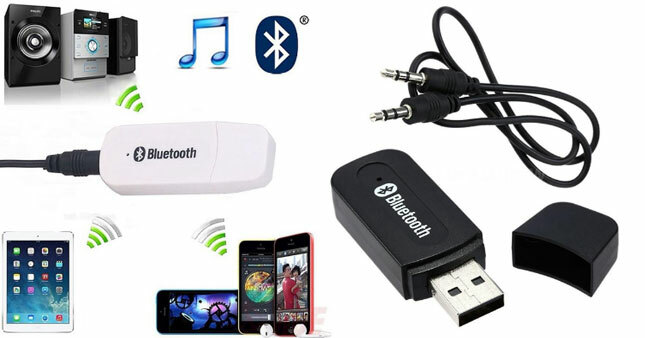 USB Powered Bluetooth Music Receiver worth Rs. 1,500 for just Rs 650! Get your party moods pumping up high with portable bluetooth audio receiver. It will make music in any audio equipment play by wireless. Highly compatible with all bluetooth enabled devices like your mobile phone, laptops, speaker etc. The portable bluetooth audio receiver is highly recommended to use even in your cars or home theaters making road trips extra fun for you. Voucher is valid only for one USB Powered Bluetooth Music Receiver. Product pick-up service is not available; products will only be delivered to specified address.